Summertime is a favorite for outdoor activities and spending time with friends and family. However, in addition to the advantages of having more daytime and warmer weather, this season can also be dangerous. Temperatures hotter than average are in the books for the next months, so you should take the proper precautions to survive the summer heat. Summer can be sticky, hot, and even uncomfortable. If it catches you unprepared, it can become dangerous for your health. According to the National Weather Service, hundreds of people die each year in the United States because of weather-related fatalities. Heat is a leading factor in this category, so take precautionary measures and use common sense to keep you and your family safe. Cope with the summer heat and stay healthy with these useful tips. Few things are worse than a broken AC on a terribly hot day. But if you perform periodic maintenance checks on your unit, you can expect it to last all summer long. The easiest and most important thing you can do is to clean or change the filter on the double. Don’t mess with other, more complicated tasks; hire a professional technician to help you out. Meanwhile, making sure your car’s AC is working well is also crucial, especially before setting out on a major road trip or before a forecasted heat wave. Staying informed about the weather information is one of the easiest ways to plan for a summer day. It helps you stay ahead the heat and be prepared for daily tasks, travel plans, and family vacations. Use an info source that provides superior accuracy. The AccuWeather app, for example, is a terrific go-to resource year-round. The AccuWeather MinuteCast is one of the most useful features, providing a minute-by-minute precipitation forecast for the next two hours, based on your GPS location. Also, the AccuWeather RealFeel lets users know how it actually feels outside. That way, you can plan accordingly for outdoor summer activities, starting with what to wear to what to pack. And you don’t have to worry if you’re always on the go! The app delivers weather alert notifications to help you stay safe whatever your location is. The award-winning AccuWeather app is freely available on both Android and iOS mobile devices. Everybody knows dark clothes attract the sun, making you feel like you’re dressed in a cocoon of sweat. That’s why lightweight, light-colored, and loose-fitting clothing can significantly up your comfort level during the hot summer days. As a rule of thumb, you will be cooler if less fabric touches your body. When sleeping, use lightweight, breathable covers and minimum clothing. If possible, make sure you stay indoor during periods of intense heat. Air-conditioned locations are much preferred to the scalding heat of the outdoors. However, avoid scheduling any outdoor activities outside even if the temperatures feel somewhat mild. The sun is still doing quite a number on your skin and overall health. If you don’t have air conditioning at home, simply go to a public library or a shopping mall for a couple of hours. Air conditioning helps your body to stay cooler, even after you’ve headed outside again. Organize outdoor activities either in the morning or during late evening hours. Learn to listen to your body and take breaks to rest throughout the day. Use them to cool off and rehydrate. Always carry water or a sports drink, whether you’re at the pool, working out, or just making errands around town. At the same time, avoid drinking too many caffeinated beverages, as they quickly dehydrate you. There are few things as satisfying as an ice cold cocktail on the beach on a hot day, but your body will feel less than refreshed. That’s because alcohol also dehydrates you. If you can’t have a BBQ without a brew, make sure you drink a bottle of water between each alcoholic beverage. On the hottest days, drink a lot of water and avoid alcohol and coffee as much as possible. Just because the temperatures are on the rise doesn’t mean you can’t continue your workout routine. Employing common sense strategies can help you get used to exercising in the heat. Some of those include switching to water sports, exercising in short bursts, and avoiding the hottest hours of the day. Also, if you’re working out in hot weather, it’s useful to learn precooling techniques to prevent your body temperature from going overboard. Simply paying a little more attention to your windows can translate in all sorts of benefits. First of all, you might not have to run the AC unit that much. Keep the windows closed during the day and use insulated drapes to keep the sun out. At night, open them to let in whatever breeze that may be. Other tips would be to hang a damp towel in front of the window, so the air entering your home is cooler, as well as opening opposing windows for maximum air flow. Getting some proper shuteye is terrible during summer heat. The higher the body temperature, the harder it is for us to fall asleep. Does the hot temperature make you feel like an insomniac? Invest in a special pillow like the Chillow, or sleep on a wet sheet (also known as the “Egyptian method”). Peak hours – usually between 10 a.m. and 2 p.m. – should be spent indoors. 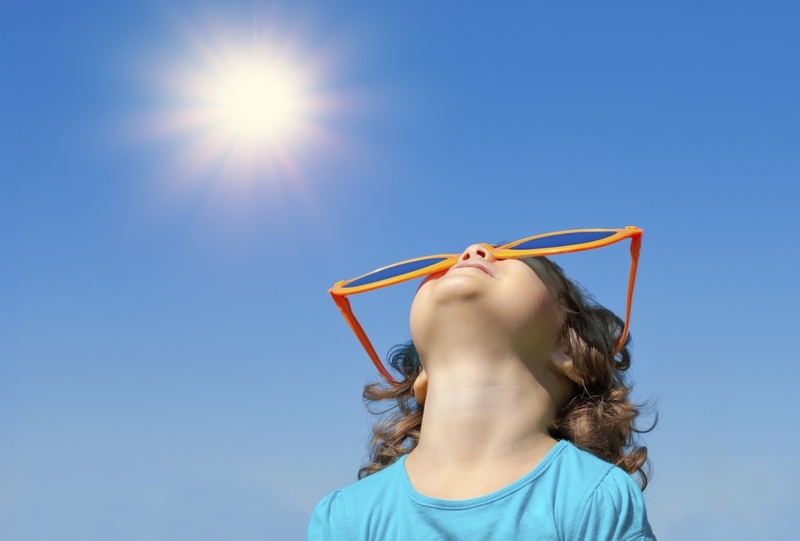 Stay away from the sunlight, because the UV rays and the temperatures are at their highest. If possible, use these hours to let your body cool down, take a nap, or simply stay hydrated. High heat and humidity should be the sign for you to take a break. Also, take care when performing water sports in the bright sun; you can become overheated without realizing it. Finally, if you simply can’t get to a cooler place, it’s useful to know which points of your body cool the fastest. Applying ice cubes (or any other cold object) wrapped in a towel to your wrist and neck will help your core temperature to cool down faster and more effectively.